January 2014 - La Cava & Jacobson, P.A. 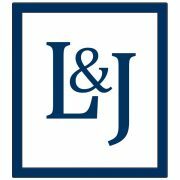 Kari Jacobson and Jonathan Ficarrotta obtained a defense verdict in a premises liability case tried in Hillsborough County. The Plaintiff alleged that the Defendant, a construction company, was negligent in failing to maintain its premises in a safe condition resulting in Plaintiff falling three stories down an empty elevator shaft. The jury found the Plaintiff to be a trespasser and that Defendant breached no duty to Plaintiff.